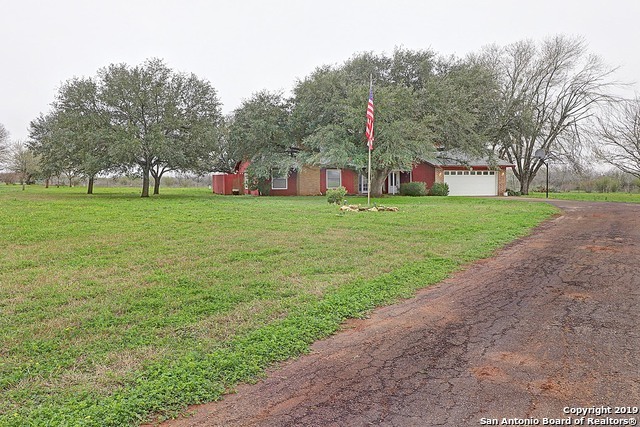 All Jourdanton homes currently listed for sale in Jourdanton as of 04/23/2019 are shown below. You can change the search criteria at any time by pressing the 'Change Search' button below. 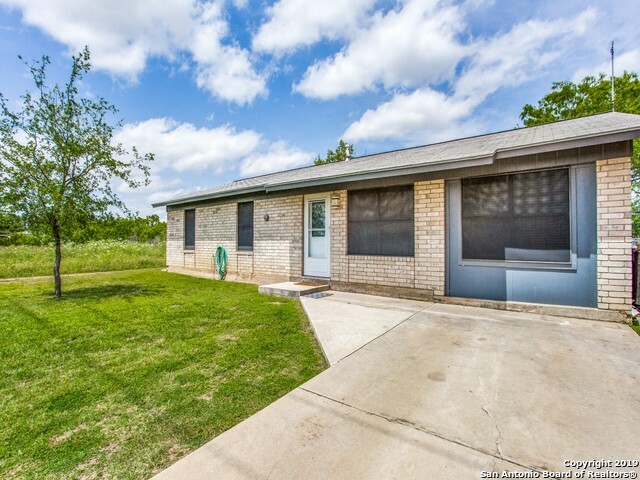 If you have any questions or you would like more information about any Jourdanton homes for sale or other Jourdanton real estate, please contact us and one of our knowledgeable Jourdanton REALTORS® would be pleased to assist you. "This place has it all! Beautiful 4 bed 2.5 bath home with large office/game room. Kitchen has solid counter tops with handmade custom cabinets. Open floor plan with split bedroom design. Behind the house you will find a large shop/game room serviced with electricity and water complete with full bath. 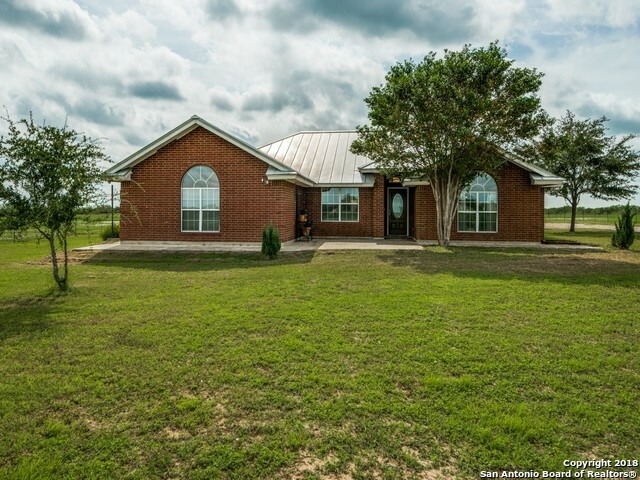 Home sits on 100 acres 2.5 miles outside of town complete with lighted arena and stalls. Additionally, there is a 30 spot RV park located on the corner of the property with full hookup for add"
"Bring all offers on this 73 acre ranch with a 4br/2.5ba ranch style home! 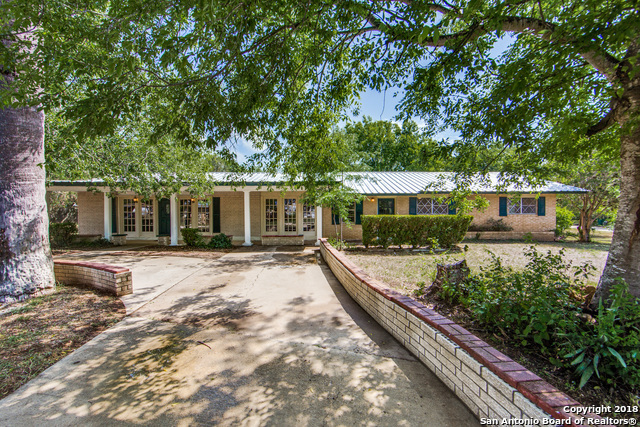 Ranch features a large stocked lake right in front of home, sprawling Post Oak and Live Oak Trees, 2 storage buildings and a set of cattle pens. Water well feeds lake, home, and cistern. Come enjoy year round recreation on this ranch! Benton City Water Available and located in Jourdanton ISD! Square footage includes additions from seller. Seller will convey some minerals at this price." "BEAUTIFUL PIECE OF MUST SEE COUNTRY LIVING! SITTING ON 10 ACRES, THIS PROPERTY FEATURES ONE MAIN HOUSE AT JUST OVER 2600 SQFT, 4 BEDS, 3.5 BATHS BOASTING TILE FLOORING & HIGH CEILINGS THROUGHOUT, MULTIPLE LIVING/DINING AREAS, DUAL LARGE MASTER BDRMS W/ BEAUTIFUL EN-SUITES, SEPARATE OFFICE & LARGE COVERED PATIO PERFECT FOR ENTERTAINING. 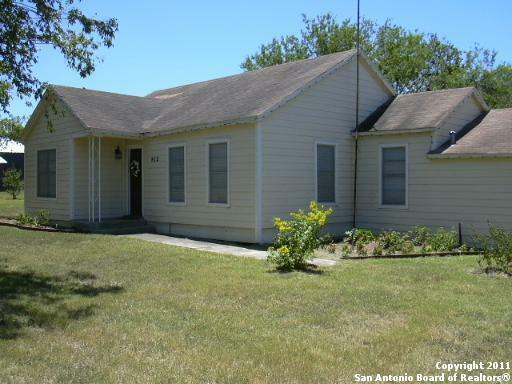 1000 SQFT, 2 BED, 1 BATH GUEST HOUSE IS FULLY FUNCTIONING WITH TILE FLOORING THROUGHOUT. OUTSIDE FEATURES HORSE STALLS & HUGE GARAGE/WORKSHOP MAKING THIS TRULY ON"
"Not often is a property as unique as this one available for sale. Years of memories made, now ready for new memories to begin. The property sits on 5.16 acres and has a pond. Relax on the large 19 x 37 patio on country evenings and appreciate the land. Master bedroom, with fireplace, sitting area and private 13 x 17 spa room, adds distinctive to the home. LARGE rooms stretch across the first floor living. This property is sold as-is. Thank you for viewing." "Lovely 4 bedroom home on over 19 acres. New appliances, high ceiling, fresh paint inside and out. All solid flooring. No carpet. 2 inch blinds and window treatments are included. Gated entry. Large storage building. New A/C and heat system March 2019. Jourdanton ISD." "Dazzling upgrades compliment this beautiful home, including new roof, custom cabinetry, granite kitchen countertops, and wood & ceramic tile flooring; Special non-porous Onyx Brand shower upgrades and claw-foot bathtub highlight the bath areas; Wood-burning fireplace gives the huge living area a cozy feel ! Open floor plan invites plenty of room for entertaining ! Fabulous kitchen space includes five-burner gas cooktop, double-ovens, and multiple workspaces. 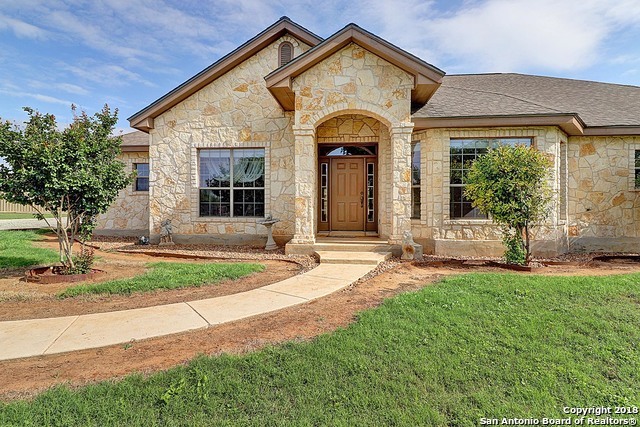 Exterior covered patio & landscape"
"Large Jourdanton home perfect for a large family and/or entertaining. Oversized lot - .52 acres and a metal roof. Extended front covered porch, backyard patio and deck. Wood floors in formal dining and extra living area. Back room has been used as the master bedroom and has a remodeled bathroom with a tile shower. Wood laminate floors in the secondary bedrooms, hall and kitchen. Close to schools." "CHARMING HOME IN JOURDANTON UPDATED TO PERFECTION...CROWN MOLDING, SOLAR WINDOW SCREENS, NEW LAMINATE WOOD FLOORS....GARAGE WAS CLOSED IN TO GIVE MORE LIVING SPACE NICELY DONE.....3 BEDROOM 1 BATH.......THERE IS A ROOM OFF OF THE DINING AREA WHICH COULD BE FINISHED TO WHATEVER YOU MAY WANT IT TO BE....FENCED BACK YARD WITH TREES.....STORM DOORS ON FRONT AND BACK .....HOUSE IS ON A CORNER WITH A EASEMENT DOWN THE WEST SIDE OF THE HOUSE....UR OFF KITCHEN WITH LOTS OF ROOM AND THE HOT WATER HEATER." "Adorable and Full of Potential!! This 3/2 is located off Hwy 16 Right next door to the old little league fields. Great sized yard on .364AC . A storage building. Partial fenced. New Carpet and Flooring through-out except tiled areas remain. New Paint inside and out.Newly poured concrete on side and back of home makes for a nice patio. Must See!!" 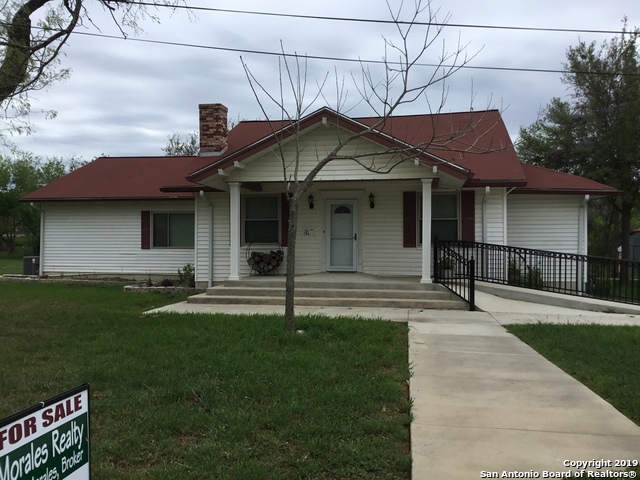 "Three bedroom 2 bath home conveniently located near Jourdanton schools and Atascosa County Courthouse. Large bedrooms. Original hardwood floors. Just over half an acre. Commercial potential. Owner/agent." "Calling all investors! Here's the opportunity you've been waiting for. This lovely little home located on a massive double lot, sitting on just over half an acre! Big potential and small town feel! Located south of San Antonio in the small town of Jourdanton. This one would make a great investment with some sweat equity. You'll be hard pressed to find something with quite the same potential here in this little town. Come take a look!"